For more than 20 years controversy has raged around a building in Whangarei in northern New Zealand. Designed by the eccentric Austrian-born artist Friedensreich Hundertwasser, the waterfront building – if it ever gets off the ground – will feature a grass roof, a golden onion dome, curves in place of straight lines, and a patchwork of brightly-coloured tiles. 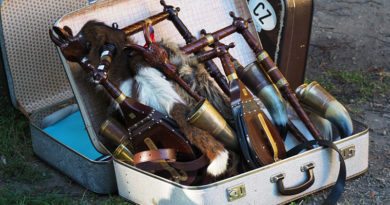 The on-again, off-again project has been making headlines since it was first mooted in 1993. It’s still a polarising issue, sparking countless letters to the editor, well-organised campaigns for and against, and even a public referendum won by the pro-Hundertwasser camp. 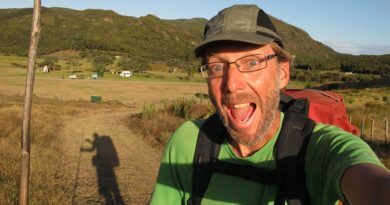 You’d be hard pressed to find anyone in Northland who hasn’t heard of the Hundertwasser proposal, or a Whangarei resident who doesn’t have a strong view on the issue. However, few people know Hundertwasser also designed a building for Wellington as a tribute to his adopted homeland – he lived near the northern town of Kawakawa from the 1970s until his death in 2000 – and that the building he dubbed the New Zealand Spiral Monument was eventually built in the Netherlands instead. 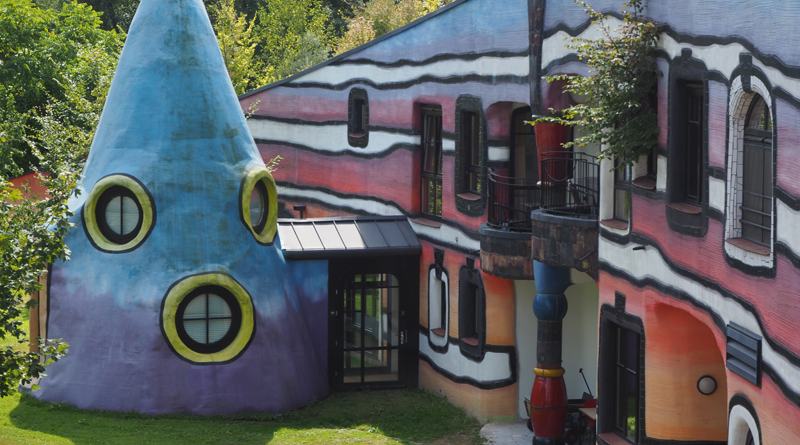 Renamed the Rainbow Spiral, Hundertwasser’s only building in the Netherlands is the centrepiece of a holiday complex for families with disabled children called Kindervallei (“Children’s Valley”). The brightly coloured building, with Hundertwasser’s trademark grass roof, onion dome, irregular tiles and abhorrence of straight lines, has become a tourist attraction in Valkenburg, a small town in the south of the Netherlands. Locals, such as Kindervallei guide Ingrid van der Pal, don’t understand why the Spiral Monument wasn’t built in New Zealand but they’re delighted it ended up in Valkenburg instead. So how did a building intended as a tribute to a bicultural Aotearoa end up on the other side of the world? The saga began in 1987 when Hundertwasser designed what he called a “Maori house pa and national monument” for the Wellington waterfront, near the site now occupied by Te Papa, the national museum. Hundertwasser’s model of the New Zealand Monument has been lost. 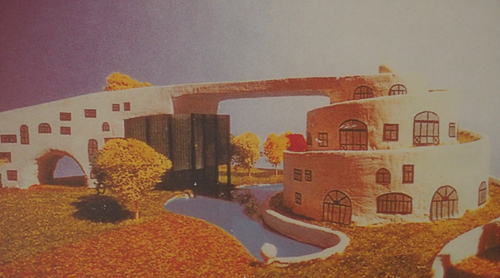 It was supposed to be five storeys high with a spiral-shaped Maori pa connected to a sloping “European pillow” by a grass-covered bridge. 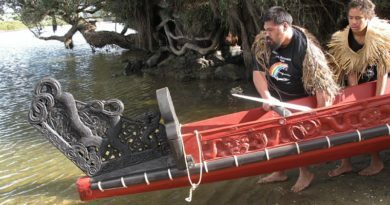 He wanted it to house museums documenting Maori and settler history, a library, conference hall, cinema and restaurant. He said the monument would “lift New Zealand up to a nation with a high culture and high standard of humanity, giving the world an example of how to act as a bicultured [sic] society and to act in harmony with the laws of nature and human creativity”. Hundertwasser, however, refused to enter his design in an architecture competition – in part, according to the Vienna-based Hundertwasser Foundation, because he believed he was the subject of “intense animosity” from other architects. A model made for the Wellington City Council was displayed in the mayor’s office but disappeared a few years later. Its current whereabouts are unknown. That would have been the end of the New Zealand Monument but for a Dutch charitable trust organising summer camping holidays in Valkenburg for families with disabled children. The trust was keen to offer holidays year-round but its teepee-style tents offered little protection from the Dutch winter, so its supporters went in search of a suitable building. 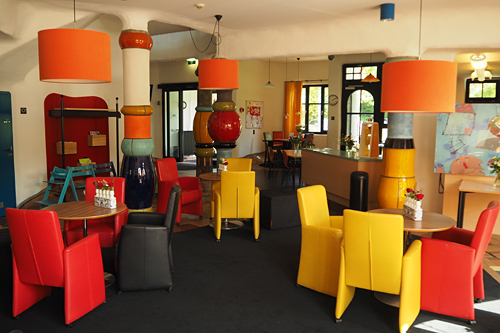 In Essen, across the border in Germany, they visited a Hundertwasser-designed Ronald McDonald House offering accommodation to families with children undergoing hospital treatment, and decided it was exactly what they wanted. 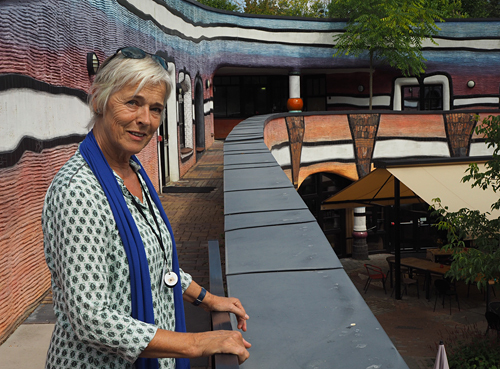 Ms van der Pal said Kindervallei’s trustees contacted the Hundertwasser Foundation in Vienna and were told the artist’s designs could not be copied or built more than once. However, the foundation just happened to have a “spare” design which had never been built – the New Zealand Spiral Monument. Austrian architect Heinz Springmann, who also drew up the plans for Whangarei’s Hundertwasser Arts Centre, turned the artist’s rough sketches into a formal design. Construction of the Rainbow Spiral took 18 months and cost 6.2 million euros (NZ$10.6m). With no government funding the trust had to rely on grants and donations of cash and materials. The colourful, two-part building was opened in 2007. The spiral part, based on the shape of a Maori pa, houses offices and six Ronald McDonald rooms for families of children being treated in nearby hospitals or rehabilitation centres. The other half of the building, called Ypsilon (Greek for the letter Y) because of its shape, contains eight holiday apartments for families with disabled children. Ypsilon also has a theatre, communal kitchen, dining area, library and a “snoezelkamer”, a sensory stimulation room for children with intellectual disabilities. The apartments feature the kind of quirky details familiar to anyone who has spent a penny at the Austrian artist’s famous toilets in Kawakawa. Trees sprout inside the building, the irregular floors mimic ponds, and no two cupboard door handles are alike. Outside, a wheelchair-accessible treehouse is based on Hundertwasser’s beloved boat, Regentag. The building’s design had to be tweaked to suit its new purpose – by making the roof garden negotiable to wheelchair users, for example – and every change had to be approved by the Hundertwasser Foundation. Ms van der Pal said the cost of staying at Kindervallei was kept as low as possible, 15 euros a night per apartment, because price could not be a barrier to any family that wanted to stay. Eighty volunteers took care of everything from gardening to guiding visitors and doing the laundry. The trust wanted to see the building utilised as much as possible with recent uses including a week-long camp teaching teens how to live with type-1 diabetes, a medical symposium and a children’s chess championship. New Zealand’s loss was the Netherlands’ gain, she said. Ronald McDonald Kindervallei is located in Valkenburg aan de Geul, in Limburg province, about 220km south of Amsterdam. 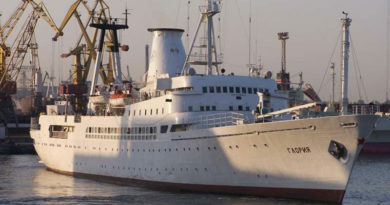 Guided tours are held on Tuesdays, Wednesdays, Thursdays and Saturdays for 11 euros (NZ$19) per person. 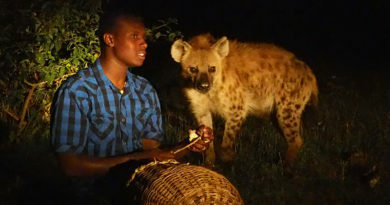 Was really great to learn about this place Peter! As an ex-Whangarei resident and fan of the Kawakawa toilets, I wanted to visit here while staying in Amsterdam. But I didn’t make it (limited time, reliance on train, and quite a distance making it more than a day trip). Still, now my Amsterdam-dwelling Kiwi friends know about its existence, and I might make it next time. I’m impressed you’d already heard of it. I only knew because of a random email from a Dutch guy who’d read one of my news stories about the Hundertwasser toilets in Kawakawa. Even my Dutch relatives who live nearby didn’t know about it.